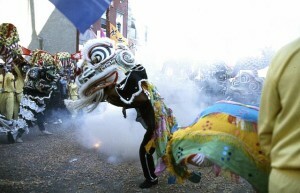 Chinese New Year starts today and lasts for 15 days. The year 2019 is the year of the pig. Customs vary from region to region. However, most Chinese thoroughly clean their homes to welcome in the gods. Family meals are essential, and fireworks are common. The color red is lucky, and children are often given red packets of money. Children could read Diane Hoyt-Goldsmith’s Celebrating Chinese New Year. Lawrence Migdale provided the amazing photographs for the book. Children can learn more at: Chinese New Year. Roger Williams landed in America in 1631. He came for religious freedom, but he found the Massachusetts colony restrictive. Banished by Massachusetts leaders in early 1636, he founded the colony of Rhode Island and the city of Providence. Children can learn more at: Roger Williams. Hermitage Museum opened to the public in Saint Petersburg, Russia, in 1852. Catherine the Great created the museum in 1764. One of the oldest museums in the world, the Hermitage houses nearly three million artifacts. Children can participate in a virtual tour or see virtual exhibits at the museum’s very interesting website at: Hermitage Museum. Welcome Stranger Gold Nugget was discovered at Moliagul, Victoria, Australia, in 1869. The largest alluvial gold nugget ever found, the Welcome Stranger weighed almost 2,284 ounces. It measured 24 inches by 12 inches. The nugget was melted down and formed into ingots that were sent to the Bank of England. National Wildlife Federation was established in 1936. 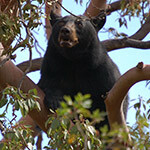 The group’s mission statement is: Inspiring Americans to Protect Wildlife for Our Children’s Future. • Safeguarding America’s wildlife and wild places. Children could visit the group’s website for children at: http://www.nwf.org/kids.aspx. National Weatherperson’s Day honors the birthday of John Jeffries, one of America’s first meteorologists. An avid balloonist, he recorded weather daily weather observations from 1774 until 1816. He was born in 1744 and died on September 16, 1819. Children could read Weather Words and What They Mean by Gail Gibbons. 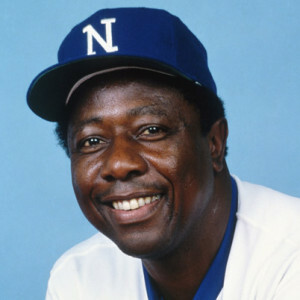 Henry Louis “Hank” Aaron (born Mobile, Alabama, 1932) is a Baseball Hall of Famer. He broke Babe Ruth’s home run record, hitting 755 home runs. Patricia Lauber (born New York, New York, 1924; died New Canaan, Connecticut, March 12, 2010) wrote over 125 books for children. She received a Newbery Honor Award in 1986 for Volcano: Eruption and Healing of Mount Saint Helens. Children can learn more about her at: Patricia Lauber. John Witherspoon (born near Edinburgh, Scotland, 1723; died Princeton, New Jersey, November 15, 1794) signed the Declaration of Independence. During the Revolutionary War, he served on over 100 committees. Representing New Jersey, he attended the second Continental Congress. He signed the Articles of Confederation and favored the Constitution. A clergyman, he was president of the College of New Jersey, known today as Princeton University. His students included James Madison and Aaron Burr.